WASHINGTON — The Trump administration has downplayed the role of foreign policy adviser George Papadopoulos during the 2016 presidential campaign. But the public record shows that Papadopoulos, who attempted to set up a meeting between Donald Trump and Russian President Vladimir Putin, was a more prominent figure than previously understood. 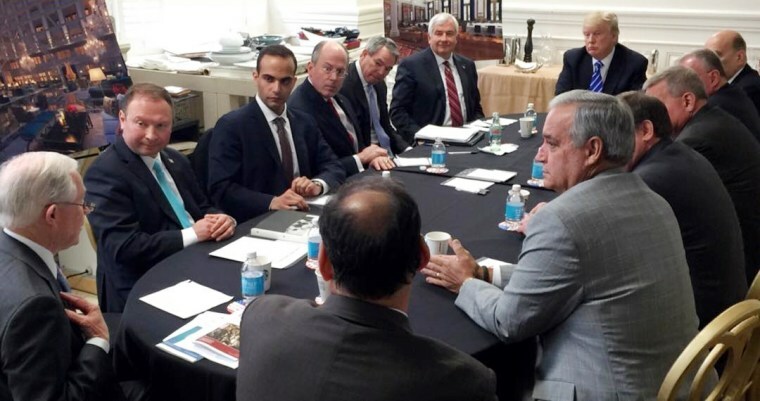 Papadopoulos was in Cleveland during the Republican National Convention where he was invited by the American Jewish Committee to speak on a panel about U.S. foreign policy, organizers said. "Papadopolous was only one among the many contacts AJC established and maintained among advisers to both parties’ 2016 presidential candidates and in the two parties’ national committees," AJC spokesperson Ken Bandler said in a statement. "Among the panelists in our 2016 Republican National Convention program — in a session titled 'Defining America's Role in Global Affairs' — was George Papadopolous, then a Trump campaign foreign policy adviser," the statement continued. The AJC forum, occurred on the third day of the RNC in downtown Cleveland. Papadopolous sat on a panel with Reps. Tom Marino, R-Pa., and Ted Yoho, R-Fla., both members of the House Foreign Affairs Committee while Sen. Bob Corker, R-Tenn., the chairman of the Senate Foreign Relations Committee, gave opening remarks. "Senator Corker delivered brief welcome remarks at an event hosted by AJC in Cleveland last summer," a spokesman for the senator told NBC News. "Due to his busy schedule, he left before the panel discussion began and does not recall having a substantive conversation with Mr. Papadopoulos or any of the other panelists." Yoho said in a statement that he “was there for less than an hour and left for another event.” He said that the only interaction he had with Papadopoulos was on what was asked during the panel discussion. Papadopoulos’ public role for the Trump campaign continued. In late September, just six weeks before Election Day, he gave an interview as a Trump campaign official to the Russian Interfax News Agency, where he said that Trump will “restore the trust” between the U.S. and Russia. And he met with Israeli leaders during the inauguration in January as a foreign policy adviser for the newly-sworn in president. "We are looking forward to ushering in a new relationship with all of Israel, including the historic Judea and Samaria," Papadopoulos told the Jerusalem Post the following day. Papadopoulos’ role in the campaign has come under scrutiny after he pled guilty on Monday for giving false statements to the FBI as part of a Grand Jury investigation into the Trump campaign and their ties to Russia. The administration has distanced itself from Papadopoulos. White House Press Secretary Sarah Huckabee Sanders called him a "volunteer" with an "extremely limited" role in the campaign. He took part in a meeting Trump and his national Security team on March 31 that Trump highlighted at the time with a picture on social media. And in an editorial board meeting with the Washington Post, Trump called him an "excellent guy." "It was a very unimportant meeting — took place a long time — I don’t remember much about it," Trump said Friday before he left for Asia. Papadopoulos entered politics from the Hudson Institute. 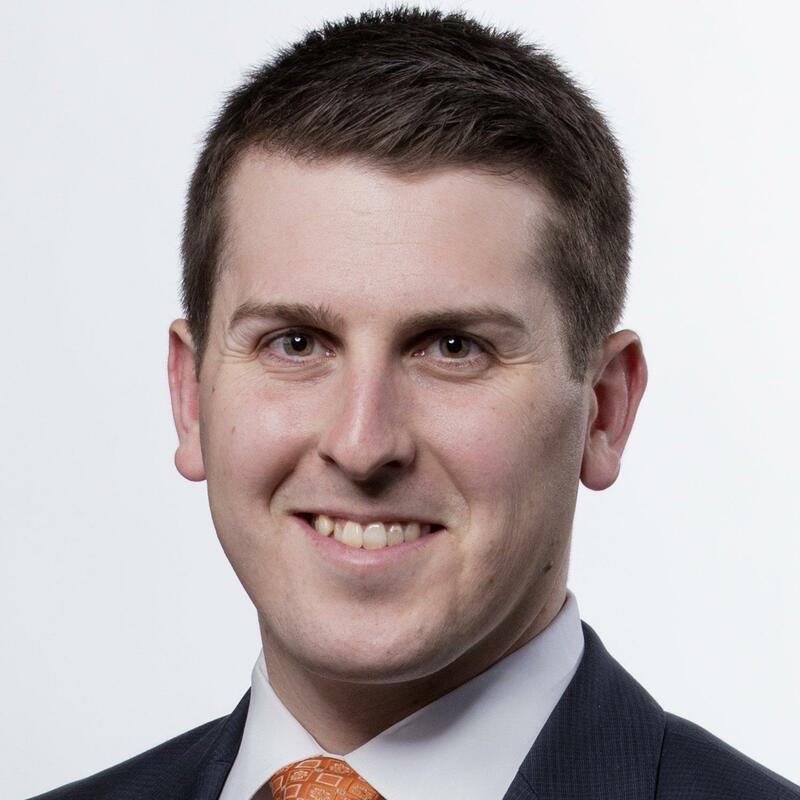 He worked for the Ben Carson presidential campaign for about six weeks until mid-January of 2016 before he found his way to the Trump campaign. Papadopoulos is cooperating with Robert Mueller’s investigation as part of a plea deal. Court documents say that the Papadopoulos told the FBI that a Russian professor he was communicating with was “a nothing,” but he later admitted that the professor, identified as Joseph Mifsud of the London Academy of Diplomacy, said he had thousands of Hillary Clinton’s emails. CORRECTION (Nov. 3, 2017, 8:30 p.m.): An earlier version of this article misstated the surname of a U.S. representative. His name is Tom Marino, not Marina.